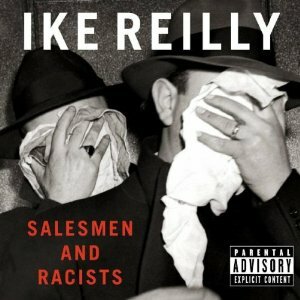 It’s been five long years since Libertyville, Illinois-born and Chicago-bred singer-songwriter Ike Reilly brandished his barbed wit and weathered wisdom on an album called “Hard Luck Stories,” which is about as good a description of Reilly’s favored type of narrative as you’re likely to get. Reilly has always been as poetically plainspoken, hard-boiled, and as rife with tales — real and imagined — of hardscrabble history as the city he calls home. 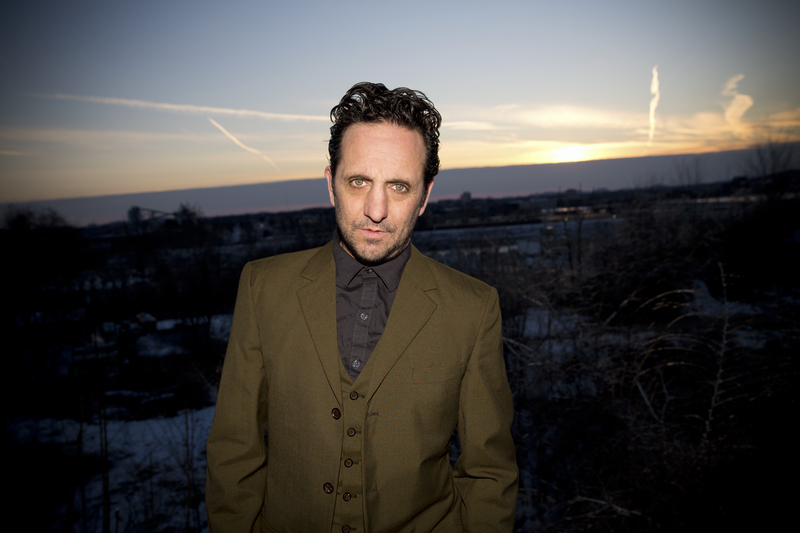 Now, having just released the brand-new “Born On Fire,” his seventh studio album, the well-traveled troubadour is back and bringing audiences more of the raucous spirit that’s earned him accolades everywhere from The Big Takeover to The New York Times to The Boston Globe (er, that would be me!). The new album is a joint release on the independent label Rock Ridge Music (the place he’s called home for more than a decade) and Firebrand Records, a label launched by Ryan Harvey (Riot-Folk Collective) and Rage Against The Machine’s Tom Morello, who plays guest guitar on the album and, like Reilly, is a Libertyville native. 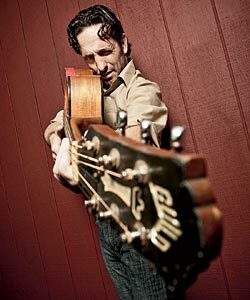 In a recent interview, Morello recently called the former gravedigger “one of the best American songwriters of the last 10 years,” but anyone who’s heard any one of his records could tell you that. This summer, Reilly’s hitting the road with his longtime, similarly raucous backing band, The Ike Reilly Assassination, for a tour that brings him locally (as in, near “RPM”‘s Boston-area HQ) to Great Scott in Allston on Monday, July 13, and then to the Mercury Lounge in New York City for what looks to be a pair of not-to-be-missed shows July 16 and 17 (for readers out of the area — and I know a few of you wonderful people are — more tour dates can be found at Ike’s website link below). There have, of course, been a few delectable discs since, which bring us up to speed to the here and now. Again, the new one’s called “Born On Fire,” and it too brims with the kind of wiry strength, underdog soul, and steely eyed sincerity that can make rock & roll transcendent. 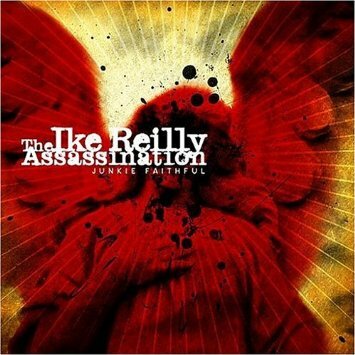 But anyone who’s heard an Ike Reilly record or seen the man work his songs on stage could tell you that. The hyphenated superlatives that usually get tossed together when music critics try to sum up Ike Reilly’s altogether unusual amalgam of beat-savvy garage-punk missives (see what we mean?) tend to be as thicket-thick as Reilly’s own frenetic flair for imagery. This regrettably inadequate exercise is what happens when one attempts to shoehorn an omnivorous artist’s stylistic reach into one tidy category. An angrier Beck? A hip-hop dosed Dylan? A Midwestern Elvis Costello? The shoe doesn’t quite fit. “Hyphenated rock and roll? I don’t know,” Reilly says with a devilish laugh over the phone from his Chicago home. 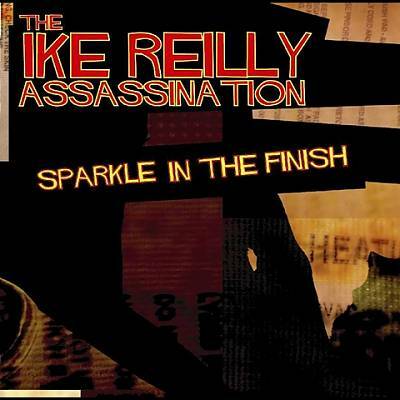 “We take elements of rock and roll from the fifties to now and use whatever works.” The “we” Reilly is referring to are his razor-sharp group of musical cohorts who make up the Ike Reilly Assassination. Surly and sullen, clad in black and wearing a three-day-old beard like a badge on the back cover of his new album, Sparkle in the Finish, Reilly’s stare certainly looks like that of a street-corner assassin. More importantly, he and his crew sound just as deadly. Standing on the corner and surveying the sights is something Reilly perfected during his tenure as a hotel doorman in downtown Chicago, years before he recorded the batch of songs that eventually landed him a record deal with the major label Universal. Reilly’s vocation guarding red carpeted entryways to privilege and leisure uniquely prepared him, he claims, for his current occupation as a rock ‘n’ roll singer. “I’ve always had jobs where I’ve romanced the drudgery,” says Reilly, 42. “I got to serve the rich and got to see the poorest of the poor. I’ve had to deal with hustlers and cab drivers and cops, and so I really couldn’t think of a more ‘rock and roll’ environment. I was observing all the time, almost invisible.” He was also writing songs – bracing, unflinching portraits of schemers and dreamers; has-beens and have-nots – inspired by the high-rollers and lowlifes that crossed his path. In 2001, Universal released that collection as “Salesmen and Racists” and immediately phrases like “Dylan-esque wordplay” (Blender magazine) and “whip-smart, post-punk style” (New York Times) started pouring in. The disc was a critical, if not commercial, smash. In an attempt to boost sales, the suits at the label dispatched Reilly on a string of dates opening for their ho-hum heartthrob John Mayer. Reilly’s seedy narratives and hip-hop inflected rants from a guitar-greased gutter proved a colossal mismatch for Mayer’s well-scrubbed date-rock. One person Reilly connected with is the award-winning British filmmaker James Marsh, who wrote and directed 1999’s noir-ish “Wisconsin Death Trip“, based on Michael Lesy’s fascinatingly unsettling book of the same name. Marsh, who once made a BBC series tracing the historical origins of legendary rock songs, asked Reilly to perform one of his tunes, “Put A Little Love In It” (in Spanish, no less), in a scene from Marsh’s forthcoming film, “The King“, which stars Gael Garcia Bernal and William Hurt. Sparkle in the Finish is a strutting rock and roll rooster (the bantam bob-and-weave of “Our Lady of Arturo”); spilling over with Beat-inspired mastery (the Everlast-meets-Kid Rock rap of “I Don’t Want What You Got (Goin’ On)” and bleary-eyed states of the union (the surreal, shambling majesty of “Ex-Americans”). Here, the life of Reilly is all con games and desperate dames, ruined hopes and derelict dopes, empty bottles and broken models. When Ike Reilly’s tour bus caught fire in Clear Lake, Iowa on February 3, the forty-fifth anniversary of Buddy Holly’s death, and actually not far from the spot where, in 1959, the private plane carrying Holly, the Big Bopper, and Ritchie Valens crashed and burned in a field, the Chicago songwriter saw the flames as a spark of inspiration. “It was the weirdest thing, but I decided I was going to write a ‘girl’ song – I had never written one before, with a girl’s name in the title like Holly used to do – so I took a ‘Peggy Sue’-type name,” says Reilly about “Kara Dean”, one of the snazziest and lethally hooky tracks on the Ike Reilly Assassination’s new CD, Junkie Faithful, out this past Tuesday on Rock Ridge Music. Those are two things Reilly knows something about, having spent many years before getting signed (by Universal at age 38) working a series of soul-numbing jobs in Chicago that included opening doors for rich people, digging graves for dead people, and hungering to be heard. All the while, Reilly wrote about the upper crusters and down-and-outers that populated his workaday life and waited for the right door to open, finally, for him. It did with Salesmen and Racists (Universal, 2001), a critically acclaimed, if commercially ignored, work that inevitably got him dropped but put him on the radar of listeners who were drawn to whip-smart lyrics and snarky attitude set to Beck-ish beats, barbed-wire guitars, and a majestic sense of melancholy. On Junkie Faithful, Reilly again draws noisy inspiration from quiet desperation. The disc, which follows on the heels of last year’s folk-punk noir triumph, Sparkle In The Finish (Rock Ridge), likewise teems with lowlifes, hustlers, and have-nots, dazed by despair, embittered by regret, and hardened by circumstance. Reilly, ever the sly, sardonic observer, takes it all in from his perch in the shadows. His personae and perspective, like his words, shifts, bobs and weaves: sage, fool, jester, street-corner prophet, Reilly’s all of these things – sometimes within the same song. “Somewhere between dreams and fear is life,” Reilly sings with sour knowingness on “Devil’s Valentine”. 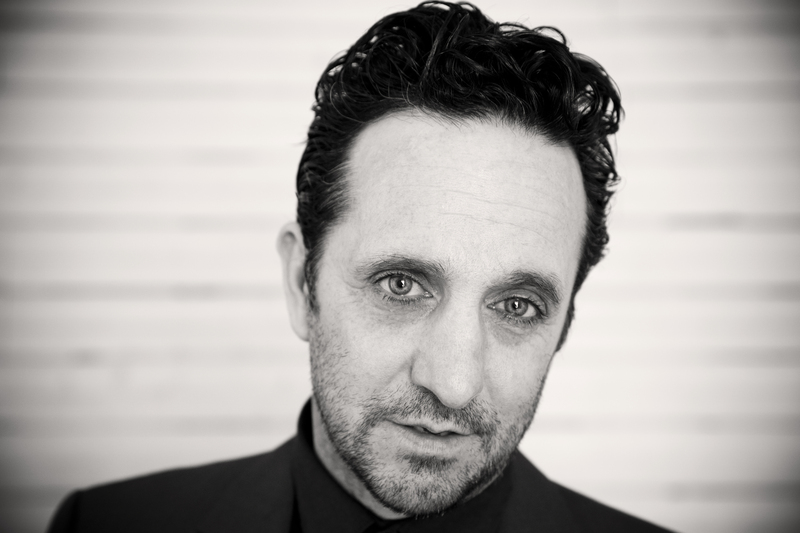 On the Dylan-esque meditation, “God and Money”, Reilly, implores us – or maybe he’s just reminding himself – to not be too hard on ourselves when he cautions, “Trample on your yesterdays, but never your tomorrows.” As a whole, Junkie Faithful feels like an album-length exposition on the Stones’ “You Can’t Always Get What You Want”, where cutting one’s losses, dispensing with illusions, and celebrating the small, hard-won victories are the only thing a pragmatic, poor boy can do.